Before receiving any cards players must place a wager. Then the players are dealt two cards face up. The dealer gets one face up, one face down. Each player in turn either stays or takes more cards to try and get closer to 21 without busting. Players who do not bust wait for the dealer's turn. When all the players are done, the dealer turns up the down card. 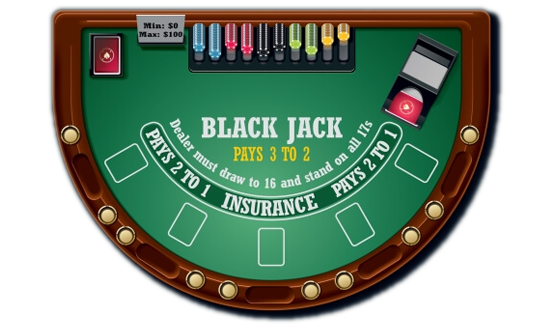 By rule, on counts of 17 or higher the dealer must stay; on counts of 16 or lower the dealer must draw (this may change from casino to casino).